Quinones are members of a class of aromatic compounds with two oxygen atoms bonded to the ring as carbonyl groups. This volume covers the role of quinines enzymes in cellular signalling and modulation of gene expression. Helmut Sies is an Honorary Member of the American Society for Biochemistry and Molecular Biology. He received an Honorary Ph.D. from the University of Buenos Aires, Argentina in 1996. Dr. Sies is a member of the Northrhine-Westphalian Academy of Sciences, Germany, and a Corresponding Member of both the Academy of Sciences of Heidelberg, Germany, and the Academy of Medicine, Buenos Aires, Argentina. He has received many awards and prizes, including the FEBS Anniversary Prize awarded by the Federation of European Biochemical Societies, 1978; the Distinguished Foreign Scholar award, MASUA, 1985; the Silver Medal, Karolinska Institute, Stockholm, 1986; the Ernst Jung Preis fur Medizin, 1988; the Claudius-Galenus-Preis, 1990; and the ISFE-Preis, 1994. Dr. Sies sereves on the editorial board and advisory committee for twelve journals, has edited numerous books, and has published more than 400 original articles and chapters. He received his M.D. at the University of Munich in 1967 and currently serves as Full Professor and Chairman of the Department of Physiological Chemistry at the University of Düsseldorf. 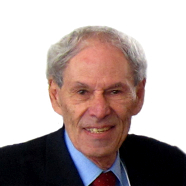 Lester Packer received a PhD in Microbiology and Biochemistry in 1956 from Yale University. In 1961, he joined the University of California at Berkeley serving as Professor of Cell and Molecular Biology until 2000, and then was appointed Adjunct Professor, Pharmacology and Pharmaceutical Sciences, School of Pharmacy at the University of Southern California. Dr Packer received numerous distinctions including three honorary doctoral degrees, several distinguished Professor appointments. He was awarded Chevalier de l’Ordre National du Merite (Knight of the French National Order of Merit) and later promoted to the rank of Officier. He served as President of the Society for Free Radical Research International (SFRRI), founder and Honorary President of the Oxygen Club of California. Dr Packer is a member of many professional societies and editorial boards. His research elucidated - the Antioxidant Network concept. Exogenous lipoic acid was discovered to be one of the most potent natural antioxidants and placed as the ultimate reductant or in the pecking order of the “Antioxidant Network” regenerating vitamins C and E and stimulating glutathione synthesis, thereby improving the overall cellular antioxidant defense. The Antioxidant Network is a concept addressing the cell’s redox status. He established a world-wide network of research programs by supporting and co-organizing conferences on free radical research and redox biology in Asia, Europe, and America.